In 2013, God began to place a burden in our hearts for Peru. Although we were not sure as to how God wanted to use Su Refugio in Peru, Scott Kvandal took a “Joshua and Caleb trip" to Peru. God raised up Valentin Popescu to lead Su Refugio in Peru. In 2014, Su Refugio Ministries took its first HIStory Journey mission trip to Peru to share the gospel with the people of Cañete, about two hours south of Lima, to support the church planting work of Juan Carlos and Kelly Lopez. 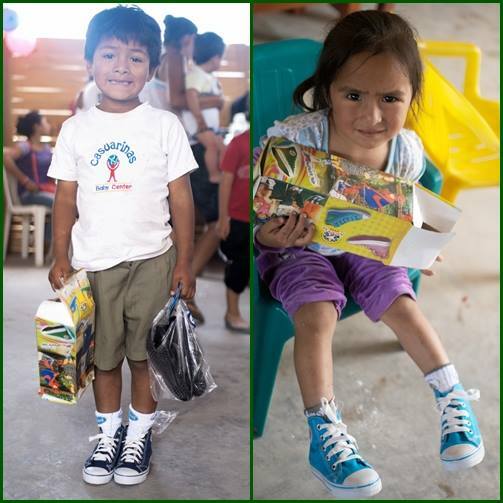 Su Refugio Peru is participating in Happy Feet programs providing foot care and shoes for children in need throughout Peru. God has begun to create HIS vision for Su Refugio and plans are underway to build a Feeding Center kitchen in the Florida District of Cañete. In September of 2015, after completion of the Feeding Center kitchen, our plans are to feed 50 children. In addition to providing the children with a warm meal, we will also provide education support and most importantly, teach them the Word of God. Please pray for this ministry. If you would like to join us in helping these precious children, consider joining us in one or both of our upcoming Su Refugio Ministries’ HIStory Journey mission trips in September. Click here to read more about the upcoming trips to Cañete or Cusco, Peru.